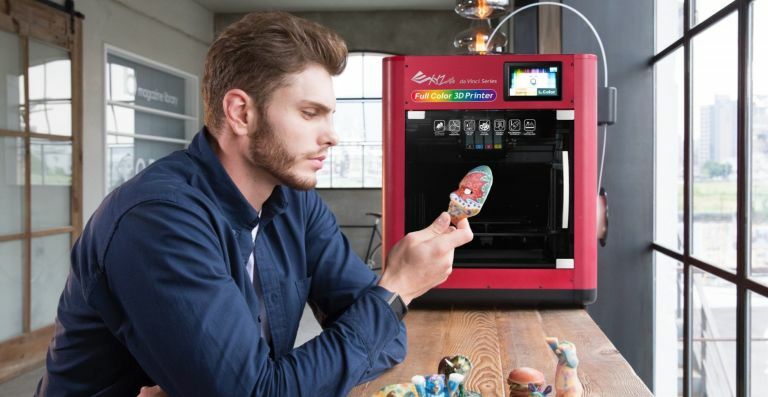 3D printer firm XYZprinting is looking to usher in a new era of full-colour 3D printing with the da Vinci Color, the world’s first full-colour 3D printer. The device uses 3DColorJet technology and is able to combine inkjet printing with fused filament fabrication (FFF) 3D printing. The da Vinci Color's CMYK ink cartridges allow for a range of 16 million of shades to choose from, while the print bed permits a generous 20 cm x 20 cm x 15 cm in build volume in a desk friendly package. The da Vinci Color will be available later this year with a recommended price of €3,599 (£3,285). To complete this new 3D printer, four ink cartridges (20ml) will be available. ink comes with 40 colour models of 5 cm3 (approx) at a recommended public price of €65 (£59). Bose has just unveiled the SoundLink Micro Bluetooth speaker, its smallest, most rugged portable speaker yet. Measuring just 9.83cm wide and deep, 3.48cm high, and weighing a mere 0.29 kgs, the Micro is tiny - until you turn it on, that is. With unmatched sound for its size, and tested beyond its IPX7 waterproof rating, the Micro lets you enjoy music, take and make calls, and access Siri or your Google Assistant – out loud and anywhere, like never before. The new SoundLink Micro comes in black, midnight blue, and bright orange. It will be available from 21 September, 2017 for £99.95 at Bose.co.uk. Logitech is looking to take another chunk out of the high-end speaker market with the Logitech MX Sound, a premium Bluetooth desktop speaker with superior sound in a compact and stylish design. It features high-end drivers and rear-facing port tubes for music, movies and videos, and comes with motion-activated backlit controls for easy volume adjustment and simple Bluetooth device pairing. Add to that a 24-Watt Peak power for high-quality audio with bass that accurately reproduces sound as the artist intended. Logitech MX Sound is expected to be available end of September 2017 at Logitech.com and select retail stores for a suggested retail price of £89.99. Run wear specialist Iffley Road has launched a new range of jackets that are perfect for a run in less favourable weather conditions. The Marlow Storm Jacket weighs just 160g, making it the brand’s lightest jacket yet. It features a patented eVent inner membrane so it’s windproof and extremely waterproof - making it ideal for braving windy and wet weather while training for those winter half-marathons. It retails for £195 and is available in three colours, Night Sky, Black Orange and Night Sky Orange. Head on over iffleyroad.com to order yours today. Motorola's latest foray into in-ear headphones is the stylish, high-end aping VerveOnes. These true wireless Bluetooth buds marry a deep bass with an impressive range to create a seriously attractive pair of in-ear headphones. Charge up the portable charger then link this pair to your smartphone to get up to 12 hours of Bluetooth-powered listening. Featuring 33 feet of wireless range, dual integrated mics for calls and full control of Siri and Google Now, you’ll have all you need without pesky wires. There’s a button on the buds to play and pause your tracks too, so you’ll get your device out less often. The VerveOnes By Motorola True Wireless Bluetooth In-Ear Headphones are available now from John Lewis for £129.99.